The Folsom City Zoo Sanctuary is one of only three organizations competing to win a $10,000 IKEA grant. The organization that receives the highest number of text votes by Jan. 20 wins the contest. 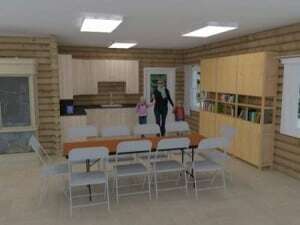 Zoo staff would use the funds for a makeover of the Zoo’s log cabin classroom. The IKEA Life Improvement Challenge gives IKEA co-workers an opportunity to improve the lives of others through the planning, proposal and execution of a community project. Every IKEA store receives a $10,000 allowance for a community project. The log cabin makeover would enhance the ability to educate children and would include a kitchenette and much needed storage. The new interpretive signage would include hand-sculpted, colorful ceramic imprints of the animals. Visit the Friends of the Folsom Zoo.